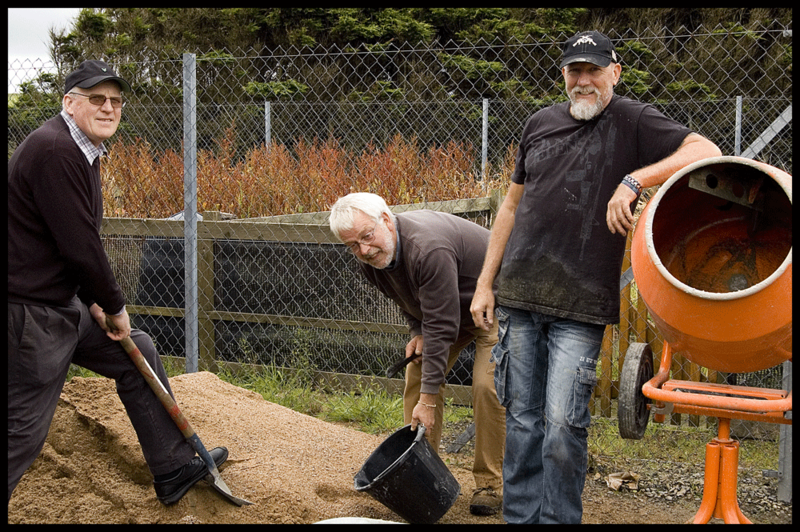 Last year, a small project was undertaken to erect a dry stone wall at the second tee at Lybster Golf Club. 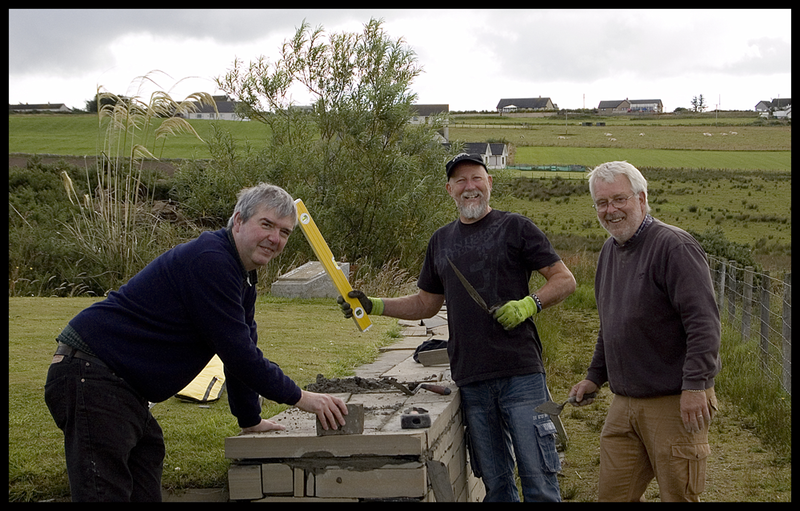 The original wall had seen better days, and as part of the Lybster Tool Shed pilot scheme, the aim was to use local resources to build a new wall. However, over the course of some months, the team had noticed that a few well meaning golfers often stood on the wall to oversee their shot, and the top layer of the wall was ‘loosening’ in places. 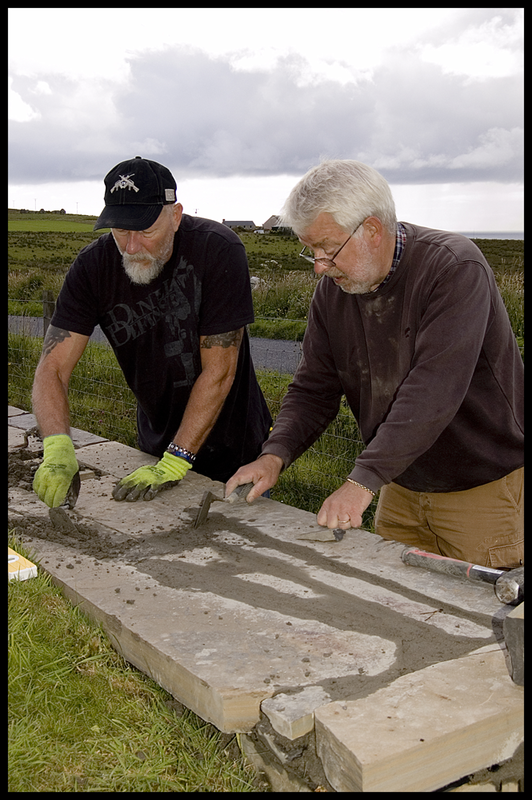 Bob and Marshall cementing the top layer of wall, accompanied by rain and midges! !